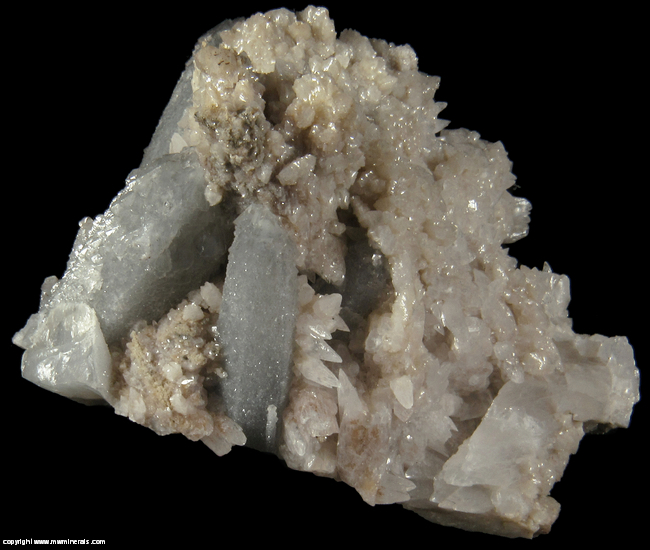 The color of the Quartz on this specimen is an unusual light blue. It is unclear what the coloring agent is. 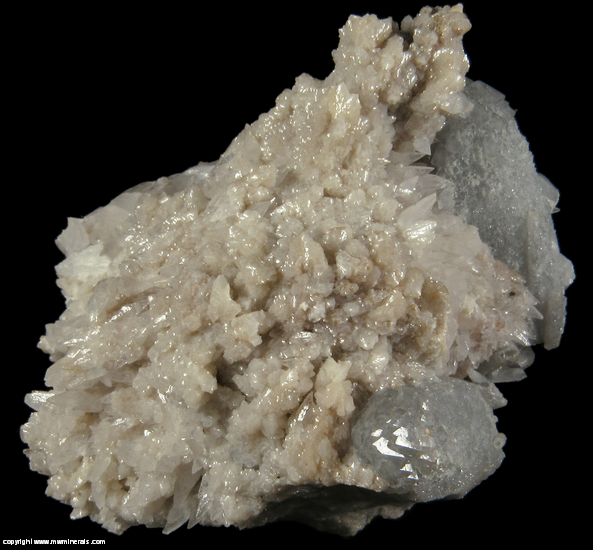 There is a mass of Calcite crystals attached to the Quartz crystals. 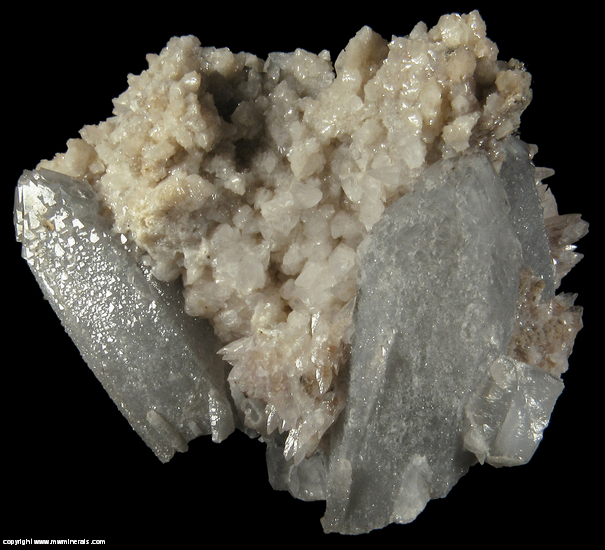 When viewed from the bottom, it can be seen none of the Quartz crystals are connected but are being held in place by the Calcite. 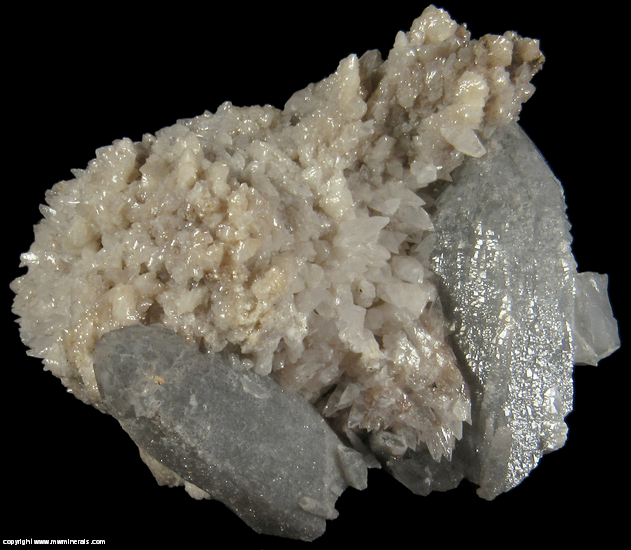 Also, it can be seen the color is uniform throughout the crystals. 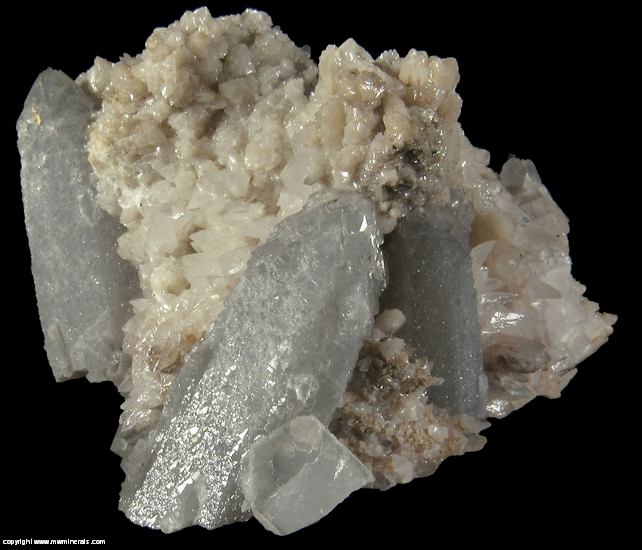 There is a thin layer of clear, micro crystals of Calcite overlaying the Quartz crystals which give them a sparkly appearance. This is a very unique specimen. There is a small remnant of stryofoam on the bottom of the specimen which is a good indicator the specimen is likely from the time period of the 50s through the early 70s when mounting specimens on stryofoam was extremely popular (little did people realize how bad styrofoam looks 50 years later).